The Muppets are following on from the viral success of their Bohemian Rhapsody music video with “Ringing of the Bells”, a shorter, simpler but more humorous music video starring Animal, Beaker and the Swedish Chef, with commentary provided by Statler and Waldorf. It’s the latest in a series of “Virmup”, Muppet lingo for viral videos uploaded to various online channels. 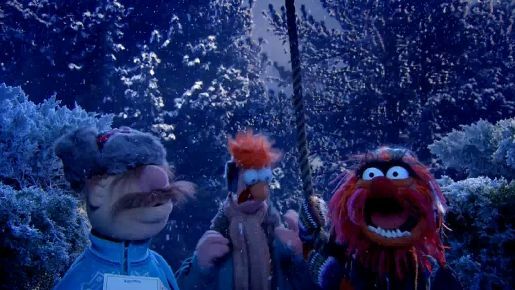 Animal, Beaker and The Swedish Chef stand in the snow, having a go at the Carol of the Bells (Ukrainian Bell Carol). Animal, whose lyrics are “Ding Dong”, looks for a bell big enough to do justice to the song. See also Bohemian Rhapsody and Ode to Joy.